Guess where we went again last night? Beth caused us some issues, we had a full ranged team which seemed to cause us a few issues and I am not entirely sure why…i spent the entire fight running around like a mad chook (I guess everyone does though) and we just kept getting overrun. We had to call the raid early as someone had to leave; so once again we only raided in FL For just on an hour (we did tol barad before hand) and I think we gave Beth three attempts(? )….it just isn’t enough IMHO. Having a “shadow council” =/= being open as a GM. Writing a blog which half your guild is aware of and the other half is not and in which you air all your in game grievances is not, was not and can never be conducive to transparent guild leadership, or for that matter, membership. Don’t get me wrong. I understand the frustration that naturally comes from the game, from guilds and from raiding, and I can see for you that there is a dire need to express that frustration in a public blog as a form of therapy. To each their own. But consider this – while I’m sure you love your guild and it’s members (as quirky or irritating as they can be), and I’m sure you feel a sense of guild loyalty, what kind of damage could you potentially be risking airing your grievances in such an open public forum? Particularly as you already admit you aren’t even sure who is aware or your blog or not? I don’t force anyone to read this blog and if it offends people they can just as easily not come back. It is not going to worry me. I should add that I have not said anything on here that I have not said on guild forums or in guild chat to people, I even have a go at myself a fair bit. Being in a guild requires objectivity to all and any issues if we are to work as a team, pretending they don’t exist in my own blog would be a little silly IMHO. Thanks for your comments though, I do appreciate it. First off – nice layout changes, love the font also, it looks really good and is somehow easier to read. This ‘seemed’ to imply that your current GM isn’t particularly open (or at least is less open than you would be or have been) and that as a result of his/her lack of transparency people are unhappy. I should explain I’ve been a long time reader of your blog (and other WoW related ones) and I’m pretty sure I read a reference to your ‘shadow council’ while you were GM, early last year. It’s to that reference I was referring. If your ‘shadow council’ was code for your officer core, then it’s understandable that you would consult with them (as I recall you did over a matter). However the name in itself doesn’t really inspire an image of transparency or openness, which was the point I was trying (clearly unsuccessfully) to make. I understand the need for anonymity while you were GM, but I also recall comments/replies made by at least one of your guild members at the time in which you stepped down from being GM leading me to conclude that there were members of your guild that were aware of your blog while you were GM. That’s ok – it’s entirely your choice. I suppose my point was that it pays to be wary of the comments you make if your guild members are aware of your blog. For example – you are aware of current disgruntlement about lack of progression, but your current GM, other officers or guild members that do read this blog may not be. In that case they find out about said drama through reading your blog, it could potentially cause more drama that you (inadvertently) get caught up in. Lol then again – where would guilds be without drama hey? 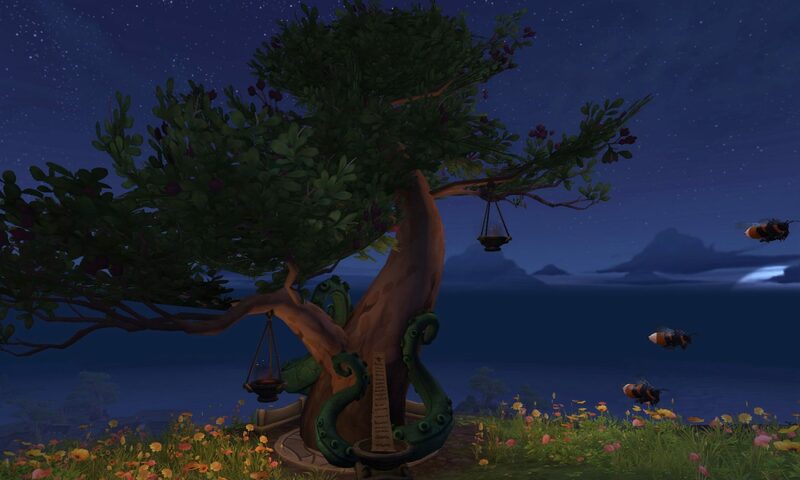 I often think one of the reasons people play WoW is for social interaction that they are missing in life – be it negative or positive it all counts as that social interaction that people are looking for. Grats on your recent progression btw. The guild I am in, is not, closed, nor is the GM not approachable – however there are no rules or guidelines or discussions openly on the forums etc about the guild or raiding or…well..anything…in my opinion it is a bit all over the place and I have said so to those in charge 😀 I am a freak though and I like order, rules and knowing where the boundaries are….we have just lost people from the guild because of the issues that have been going on and honestly…it’s a shame. With just a few small – teeny weeny changes – we could extinguish most of the issues…The Gm and officers know about the issues, but from comments made – on both sides – there is a massive gap between the desires of the parties. I have just offered to take up raid leading again – but of course that sets up its own issues as my expectations are different to the guilds – or are they? I need to discuss things with everyone in the guild and see what their wants are….because in the end I don’t want to push my agenda onto people who have no interest in moving forward at any specific rate. I like the new layout a lot although it’s not so new by now. 😀 I hate to say the background picture is (now?) very good and works really well with the rest of the layout. Even if it is Alliance. I’m thinking about trying to add a little Tirisfal to my own now. It’s a very European thing to prefer the non-beautiful people of the Horde. Draenai were never ugly enough and Worgen…I mean, c’mon Blizz!? Is this a joke…horde laugh all the way to the bank (in Kazan) over that one. One word: Goblins. Mwwwhahahahaha! I’m not sure what to say about the hot bed of drama that is a guild. Preaching to the converted I would point out the inherent dangers of even alluding to any dissatisfaction. As you know, it’s extremely dangerous to be the one sticking your head up above the parapet. The ironic thing is that if check the combat log you’ll probably find you got shot in the back of the head as much as front. I really do prefer horde, I swear!!! But well, I go where I am told to by the hubby 🙂 It’s one of the only ways to ensure we can keep playing the game!! I am such an addict :/ Not entirely sure that is a good thing though.